Requirements of hospital wards have become more advanced over the years, and as a reaction to this, Sidhil have designed a state-of-the-art bed to meet the needs of the modern acute sector. The Sidhil Innov8 Hospital Ward Bed is built to combine safety, performance, functionality and cost-efficiency, offering a range of positioning options and intuitive operation to make providing complex care as efficient and simple as possible. With auto-regression profiling to improve patient positioning and a range of features to make use as safe and hygienic as possible, this bed is an ideal option to meet the demands of a changing medical world. The Innov8 Low Bed features a wide range of electrically operated functions to provide as many positioning options with as much comfort as possible. These functions include auto contouring, cardiac chair functioning and auto-regression to ensure the patient stays stable and free from pinching during bed adjustments. Trendelenburg and reverse-Trendelenburg positions are also available to facilitate fluid-draining procedures. 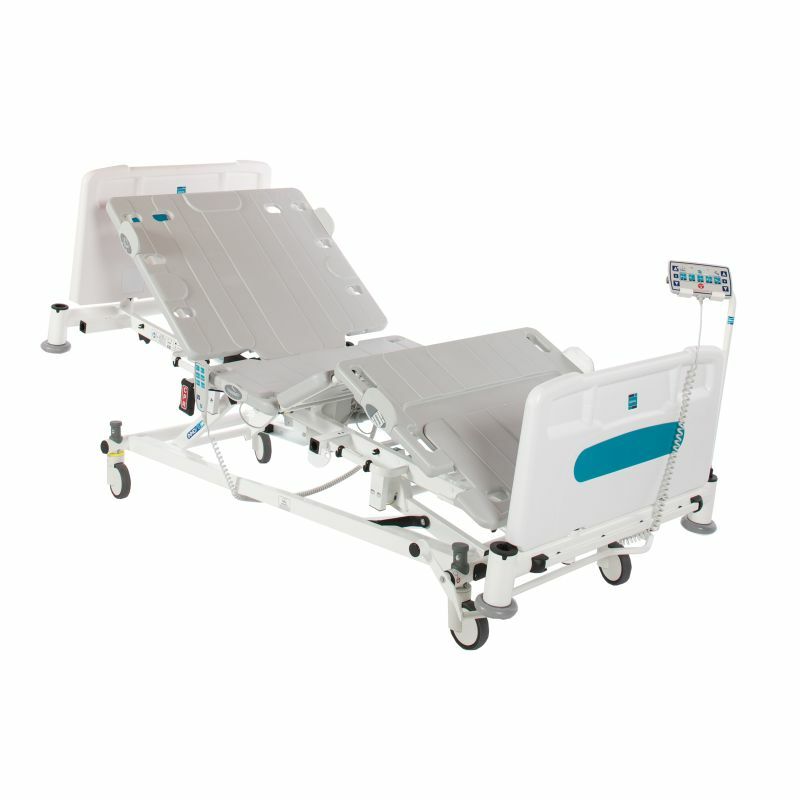 This bed is supplied with a patient handset that provides limited comfort controls, as well as a nurse control panel with comprehensive capability. The patient will have control over their backrest and knee break with limited control over the mattress platform, while the carer will have control over the handset lockout function to prevent unwanted tampering.